Men with cancer rendered infertile by surgery, chemotherapy, radiation and hormone therapy that are needed to control or cure their disease are increasingly being offered the chance to preserve their reproductive potential through artificial reproductive technologies. Cryopreservation of sperm and testicular tissue have increasingly helped boys and men preserve their fertility. There is a growing subspecialty within reproductive medicine aimed at fertility preservation in this population. Furthermore, strategies are being developed that may in the future revolutionize the approach to such patients. 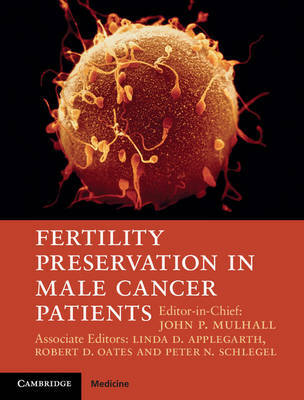 Written by international authorities in the field of fertility preservation, this comprehensive book is aimed at clinicians dealing with male cancer patients, in particular, urologists, andrologists, oncologists, pediatricians and nursing staff as well as clinicians in reproductive endocrinology. The text reviews the impact of cancers and their treatment on male fertility, the available fertility preservation strategies and post-treatment management.